With the graduation of 115 new Haitian doctors, last week, the total number of Haitian doctors, graduates of the University of Medical Sciences of Santiago [Cuba] is now of 731. Dr. Rosa Delia Castellanos Decónger, Rector of the institution, has recalled that the first Haitian doctors have been graduates in 2005 under the program initiated in 1999, to meet the commitment of Fidel Castro to train 1,000 Haitian physicians in ten years. Currently 291 Haitian students are studying in Cuba, including a hundred that follow a specialty among others in pediatrics, surgery, gynecology and cardiology. 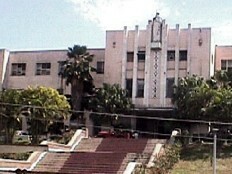 The University of Medical Sciences of Santiago de Cuba was the first medical school after the Revolution of 1962. Since its inception, 2.492 health experts, from 76 countries have graduated from this university.